Students are encouraged to bring a healthy lunch from home. We do not allow fast food, soda or candy. Lunch Bunch is offered to Half Day Primary students Monday – Thursday from 11:45 – 1:00 pm. Spaces are limited and availability may change throughout the year. 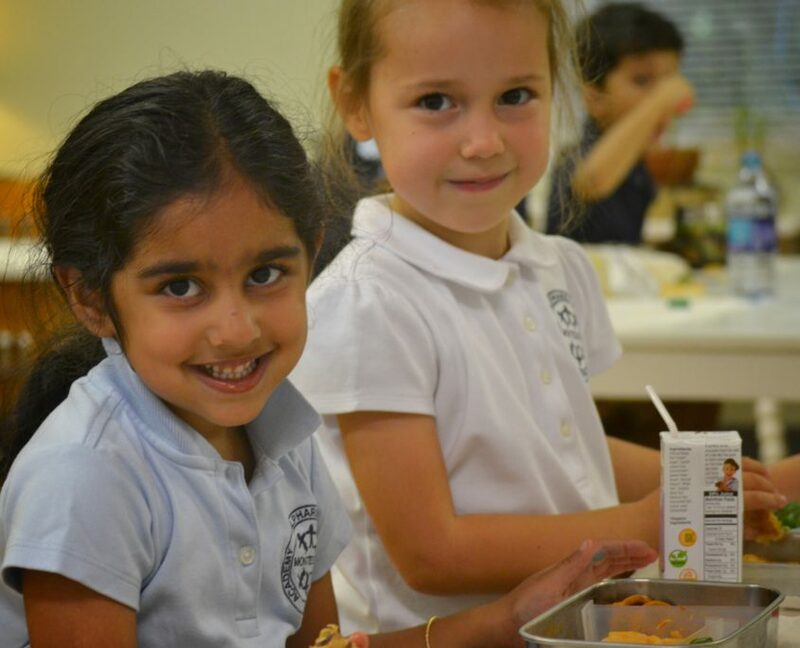 Full Day Primary students have lunch on campus Monday – Thursday. Elementary students have lunch on campus Monday – Friday. AIA offers Pizza Lunch on Thursday for the Primary Campus and on Friday for the Elementary Campus. Students have the opportunity to pre-order pizza slices, fruit/veggies & a drink rather than bringing a lunch from home on these days.